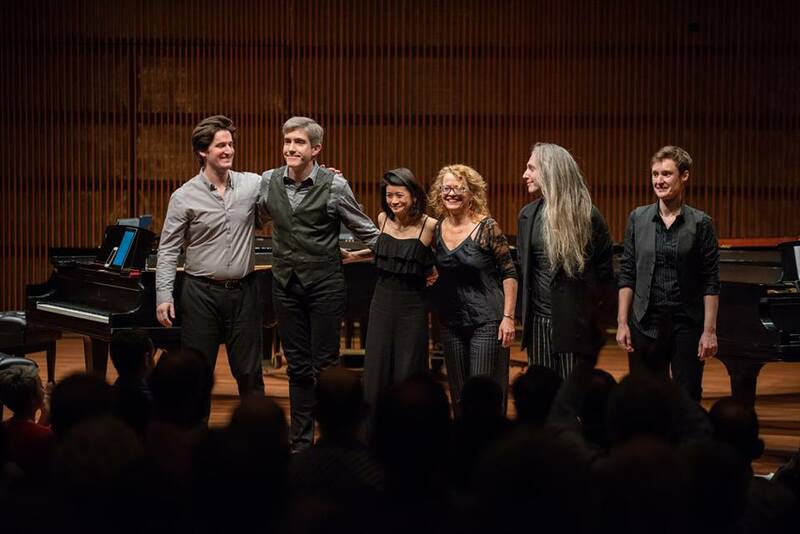 features six of New York City’s top pianists: Erika Dohi, David Friend, Paul Kerekes, Blair McMillen, Lisa Moore and Isabelle O’Connell. 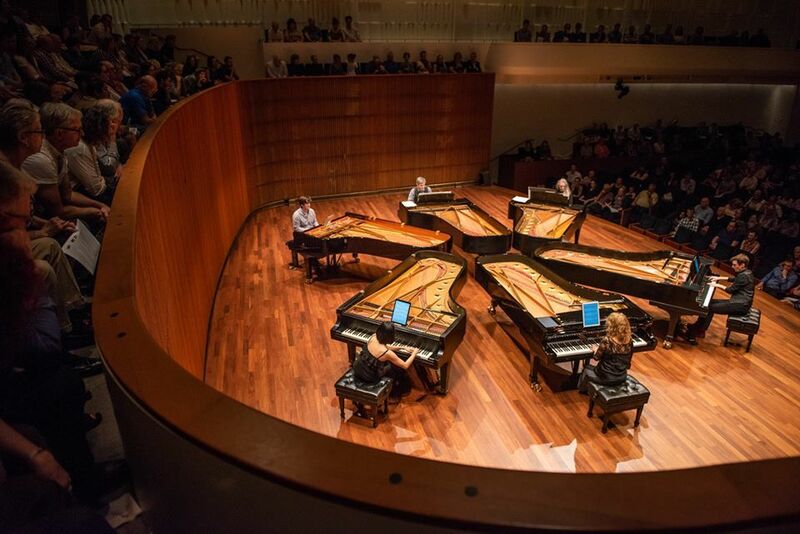 The ensemble has been described by The New York Times as “a kind of new-music supergroup” and “the Traveling Wilburys of the city’s new-music piano scene”. 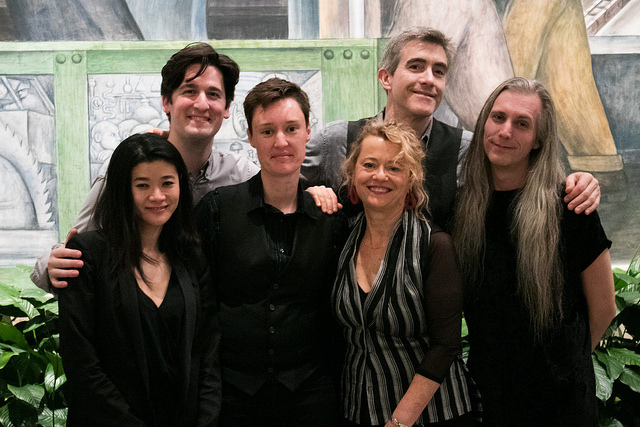 Labelled “awesome” by Sequenza 21 and ‘inventive’ in New York Magazine, this stunning collection of performers creates a powerful sonic force. A modern and unconventional troupe, Grand Band champions new music, living composers and arrangements of 19th and 20th Century classics. 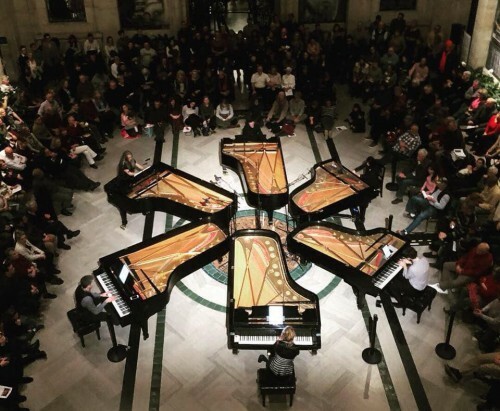 Their recent commissions include new works by composers Michael Gordon, Paul Kerekes, Missy Mazzoli, Harriet Steinke, and Ben Wallace. Grand Band repertoire also includes original works by David Lang, Philip Glass, John Metcalf, Kate Moore, Steve Reich, Kevin Volans and Julia Wolfe as well as emerging UK composers Nathan Dearden, William Marsey, David Roche and Lucy McPhee. In 2017 Grand Band added arrangements of popular classics to their repertoire – works by Modeste Mussorgsky (Pictures at an Exhibition), Gustav Holst (The Planets) and Leonard Bernstein (West-Side Story Symphonic Dance Suite). Broadcast regularly on New York’s WQXR’s Q2 radio, Grand Band has performed at the Bang on a Can Marathon, (le) poisson rouge, Gilmore International Keyboard Festival, Detroit Institute of the Arts, Lansdale Community Concerts (PA), Rite of Summer Festival (NY) and in the UK in Sheffield, Liverpool and the Vale of Glamorgan Festival in Cardiff, Wales.